After the concert on the Upper Quad, come on down to Chambers Gym and shake a leg at the Lunsford Festival Community Dance! Squares, circles, and lines will be called by renown dancer and caller Phil Jamison and high energy mountain tunes will be provided by Rhiannon & the Relics. 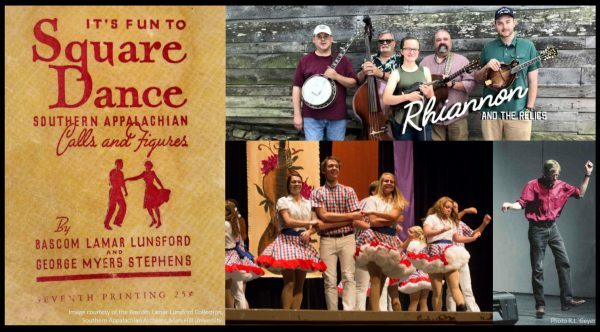 The Bailey Mountain Cloggers and the Cole Mountain Cloggers will be joining to demonstrate calls and figures collected by Bascom Lamar Lunsford. Dance figures will be explained and walked through and absolutely no experience is required. Fun and Friendly for all ages! Admission is free and the Bailey Mountain Foundation will have a concessions table. 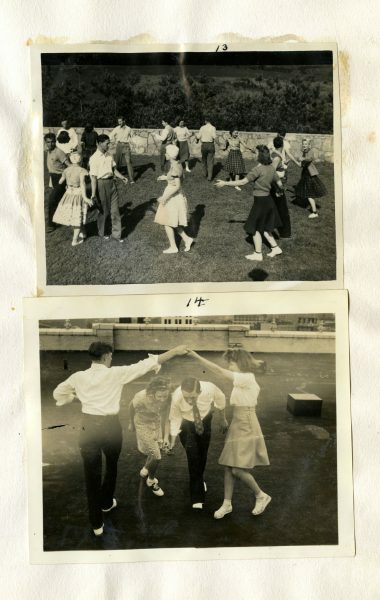 Photo courtesy of the Bascom Lamar Lunsford Collection, Southern Appalachian Archives. Mars Hill University.